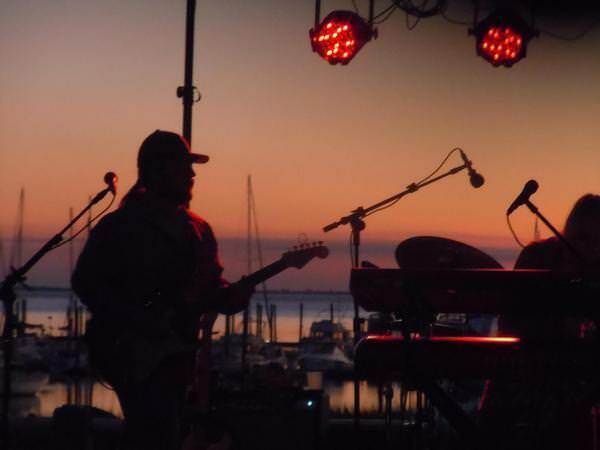 St. Simons Island real estateÂ owners are already enjoying the 25th Anniversary season of the outdoor concert series, Jazz in the Park. But things are really expected to get fired up on June 29th. Thatâ€™s when one of the Golden Islesâ€™ beloved bands, Soul Gravy, are expected to take center stage. Soul Gravy is made up of four, ultra talented entertainers. Their names are Cliff Bragdon, Jessica Holloway, Scott Bachman and Will Gore. Holloway and Gore provide the vocals as well as play instruments. Bragdon plays brass and Bachman is a masterful drummer. Together, they continually excite listeners with their unique, St. Simons blend of soulful, musical genres. To get a feel for what we are referring to, take a listen to their latest album. Titled Thereâ€™s a Way Out, it features such great tunes as Gypsy Blues, We Gonnaâ€™ Make It, What About Me and Sweet Love. Hearing it will surely whet oneâ€™s appetite for tickets to their upcoming, Jazz in the Park performance. Tickets tend to range in price from $5 to $10 each. Kids expected to be under 6 years of age at the time of the concert will be admitted free. And for all of you that have never been to a Jazz in the Park performance at Neptune Park, we have a few tips to share. Be sure to arrive before the 7 p.m. kickoff and expect to stay until at least 9 p.m. Thatâ€™s when Soul Gravyâ€™s performance is expected to end. Youâ€™ll also want to make it a point to bring bug spray, refreshments and comfortable seating along. Otherwise, youâ€™ll find your keister parked onto the grass, which can get covered with dew and sea spray at times.